The soft, white sands of Good Harbor Beach are a pleasant 15-minute walk from Atlantis Oceanfront Inn. 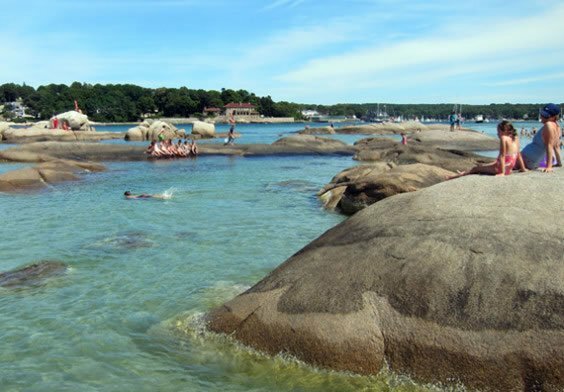 At low tide, you can walk out to Salt Island. Enjoy body surfing and boogie boarding. Lifeguards are on duty Memorial Day weekend to Labor Day from 9:00am to 5:00pm daily. When the surf is up, surfers flock to Good Harbor after 5pm and off season. Food, drinks, beach toys, restrooms, showers and beach wheelchairs are available. The beach is handicapped accessible. 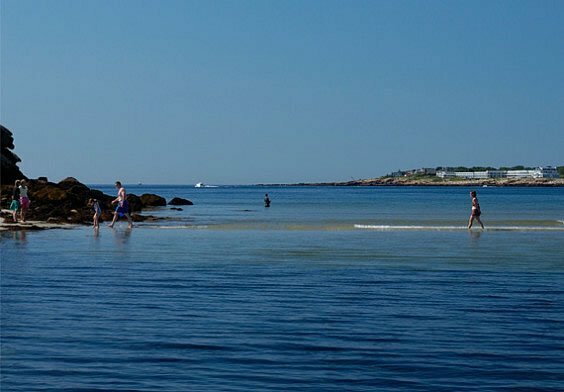 This gorgeous beach runs along the Annisquam River and Ipswich Bay. At low tide the beach extends out for hundreds of yards and a long sandbar is exposed making for wonderful places to walk and explore – especially with children. Lifeguards are on duty Memorial Day weekend to Labor Day from 9:00am to 5:00pm daily. Food, drinks, beach toys, restrooms, showers and beach wheelchairs are available from 9:00am to 6:00pm daily. The beach is handicapped accessible. 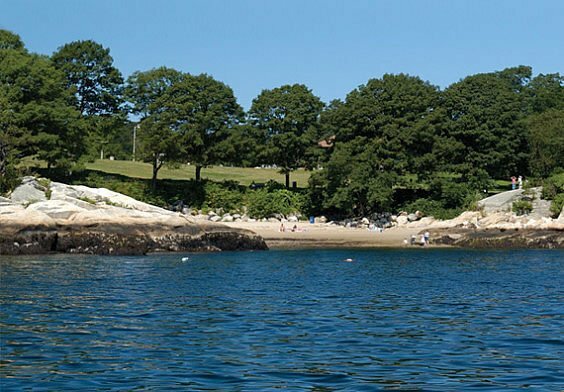 A small, quiet beach at historic Stage Fort Park near a playground. Plenty of parking is available and Atlantis Oceanfront Inn guests receive parking passes. Restrooms are located within the park. Lifeguards are on duty Memorial Day weekend to Labor Day from 9:00am to 5:00pm daily. The beach is handicapped accessible with a concrete ramp from the parking lot to the beach. Dogs are allowed in the park but are prohibited on the beach. Be sure to get your discounted beach parking passes from the front desk at Atlantis Oceanfront Inn.